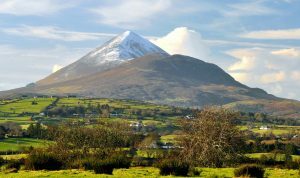 Mayo Mountain Rescue has urged caution this weekend as over 25,000 people are expected to climb Croagh Patrick in Co Mayo for the annual Reek Sunday pilgrimage. This year’s event will be the first Reek Sunday climb in two years following the cancellation of last year’s event due to bad weather. Croagh Patrick is renowned for its Patrician pilgrimage in honour of St Patrick, Ireland’s patron saint. It was on the summit of the mountain that St Patrick fasted for forty days in 441AD and the custom has been faithfully handed down from generation to generation. The Black Bell of St Patrick was a highly venerated relic on Croagh Patrick for many years. On ‘Reek Sunday’, the last Sunday in July, thousands of pilgrims make the journey to the mountain summit. At the top, there is a modern chapel where Mass is celebrated and confessions are heard. Individuals and groups come from all over the world and include pilgrims, hill climbers, historians, archaeologists and nature lovers. They include all local divisions of the Order of Malta, 12 teams from Mountain Rescue Ireland, Mayo County Council personnel, Irish Air Corp helicopters, Civil Defence, Westport church authorities, Murrisk Development Association, local land owners and volunteers.